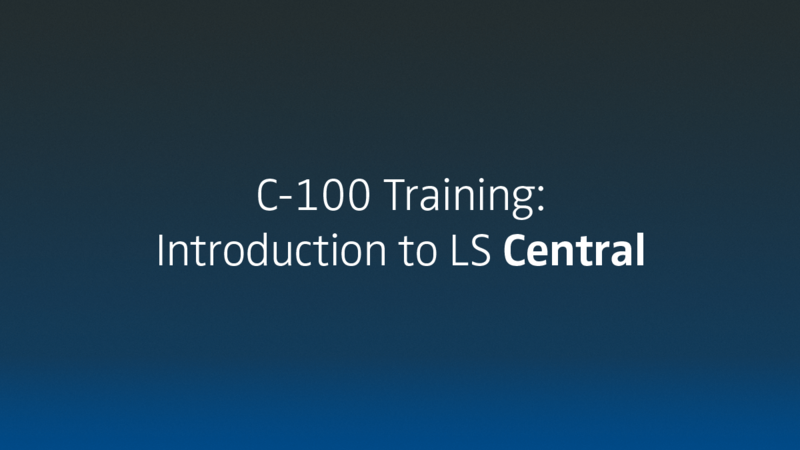 Get a basic understanding of LS Central, what it is, and its main features. This training offers a general introduction to LS Central. Hands-on exercises give participants a chance to practice different processes and to familiarize themselves with the LS Central Demo Data company, which is part of the LS Central Demo package. At the end of the training, participants should be able to give a first demo of LS Central. Sales/pre-sales professionals, consultants, support, developers. All those who are new to the system and want to get an introduction to LS Central in general. All participants must have a laptop with the newest version of Business Central, LS Central and LS Omni installed. Optionally it is possible to download from LS Retail Portal a Demo LS Central Virtual Machine (VM) which is ideal to use on this training. This VM has LS Central with LS Omni installed and ready to be used for testing, training and demos. Since the training will give a general overview of the Omni products, the participants should have a mobile device. Do you have any questions? Just contact us.